Discover the New and Noteworthy features that we have recently added in Sirius. XML serialization format The graphical designer is described in a configuration which is serialized in an open XML format. 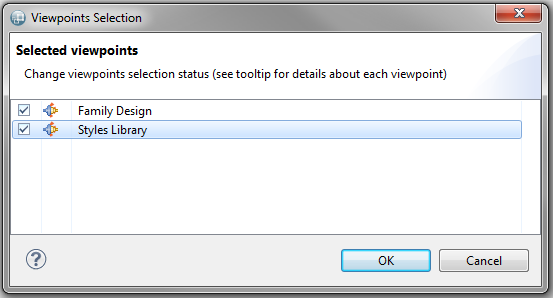 A graphical designer provides viewpoints adapted to the user's role or activity. 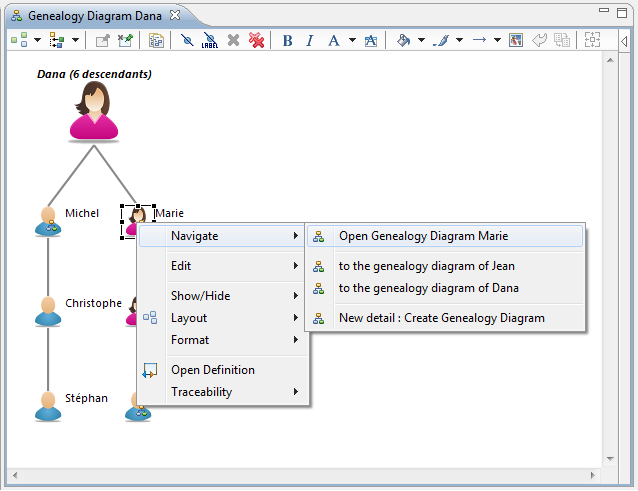 Each viewpoint corresponds to a set of representations (diagrams, tables, matrices or trees) which can be completely customized. 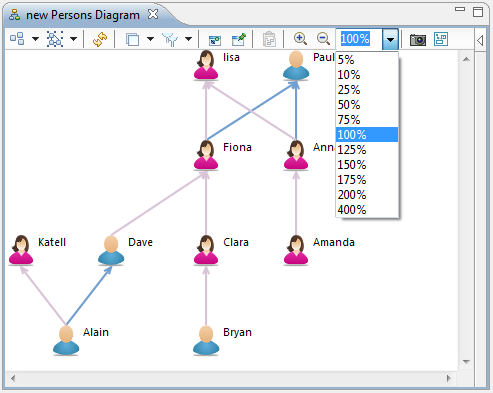 Customizable Diagrams You can specify diagrams to graphically represent the model elements with your own graphical choices. 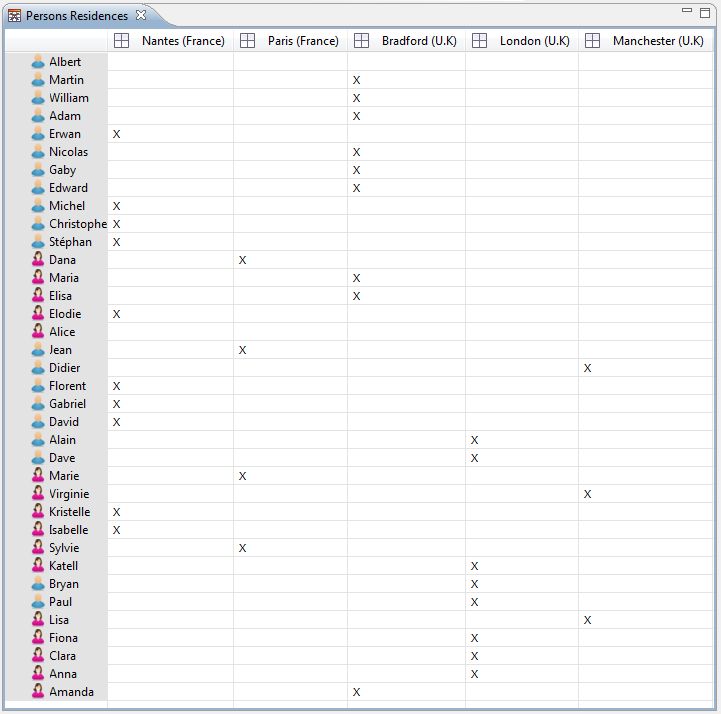 Customizable Tables You can specify tables to represent model elements as lines, where each cell corresponds to a feature. Cells are editable and can be graphically customized (font, color, etc...). 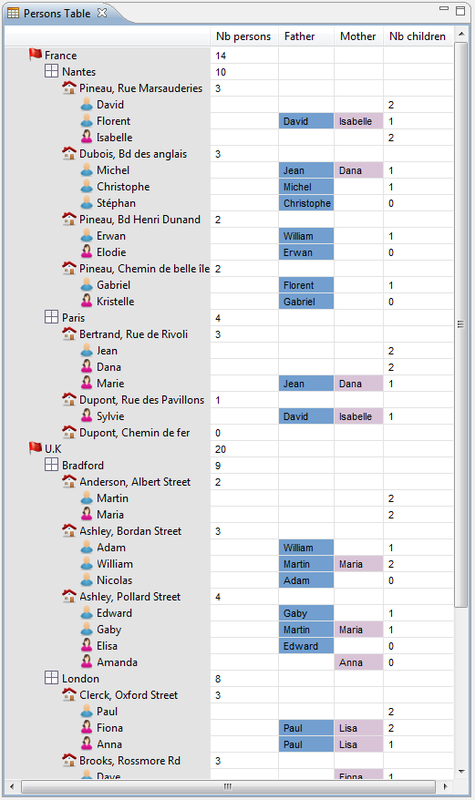 Customizable Matrix You can specify matrices to represent model elements as lines and columns, where each cell corresponds to a link between the objects in the line and the column. 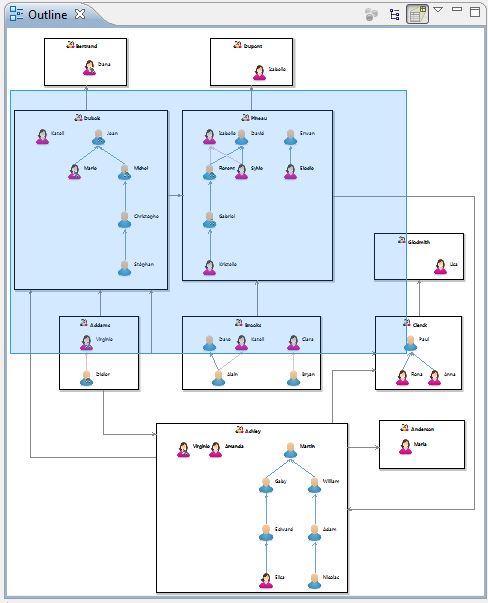 Customizable Trees You can specify a tree to represent model elements, where each node corresponds to a model element with related objects as child nodes. 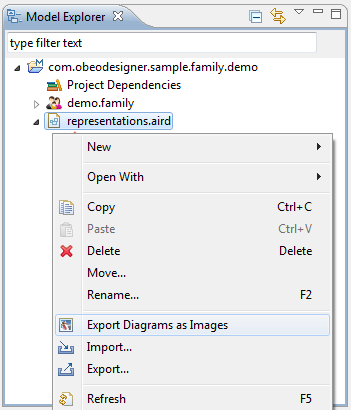 to represent your model elements with lifelines, messages and combined fragments. 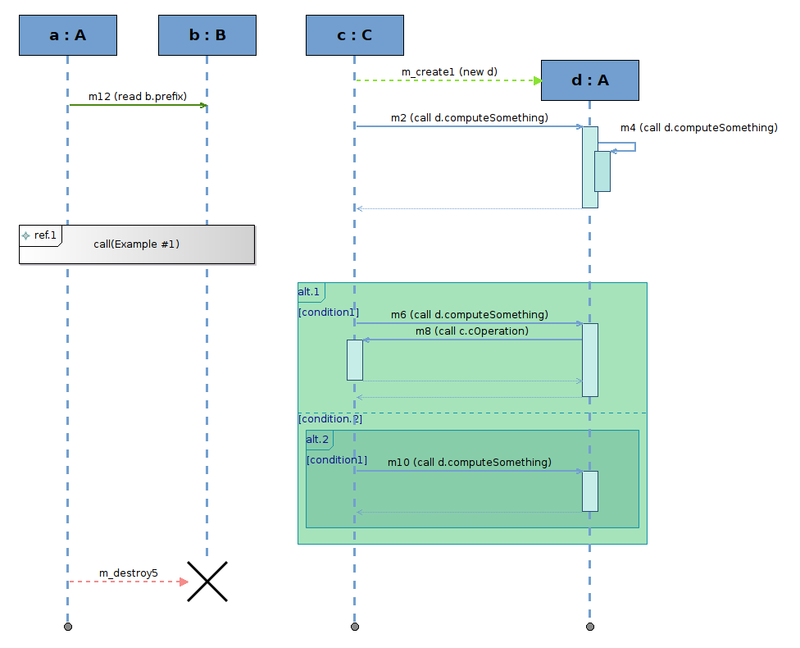 Inspired by UML, this kind of representation can be used with any DSL. 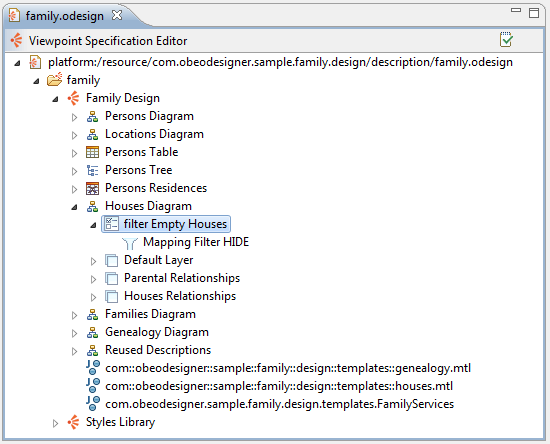 Customizable Properties Views You can specify custom properties views to display and edit model elements features. 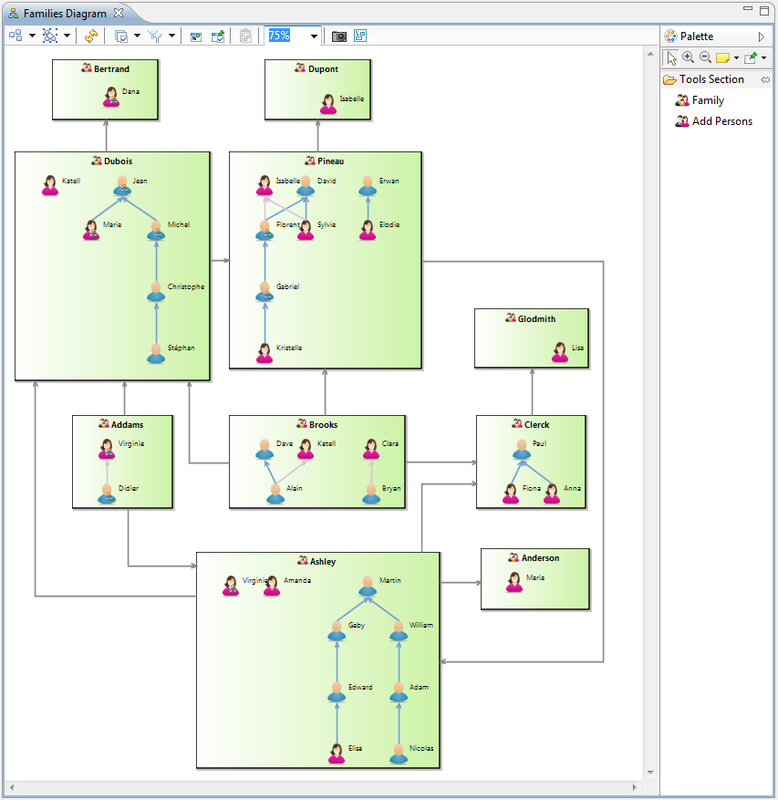 A Graphical Designer created with Sirius offers a complete modeling workbench to manage your models and their corresponding representations (diagrams, tables, matrices, trees and sequence diagrams). XMI import/export Based on EMF, Sirius natively supports XMI format to import or export models. 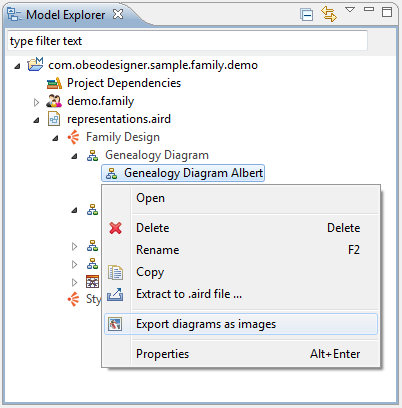 Split XMI files (Control model elements) The XMI file containing a model can be splitted into several files to facilitate collaborative work with source control systems. 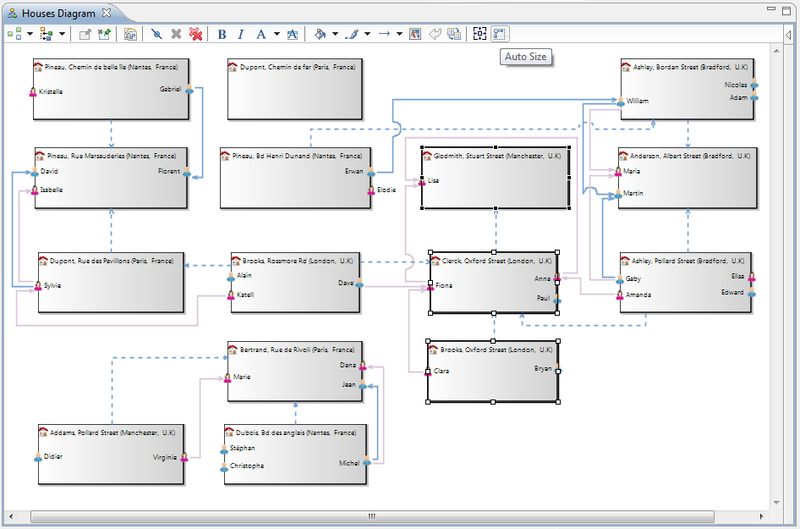 Each diagram defined with Sirius provides features to facilitate the visualization and the manipulation of the displayed model elements. Conditional styles A conditional style changes the appearance of a model element according to specific conditions (property values, relations, ...). It allows to highlight some model elements of interest.
. The automatic layout strategy can be customized by the creator of the Graphical Designer.
. Each violated rule triggers either an Information, a Warning or an Error. They are shown both in the Problems view and the diagram via decorators on model elements. Quickfixes Problems detected by a validation rule can be automatically corrected by quickfixes. Quickfixes are defined by the creator of the Graphical Designer. 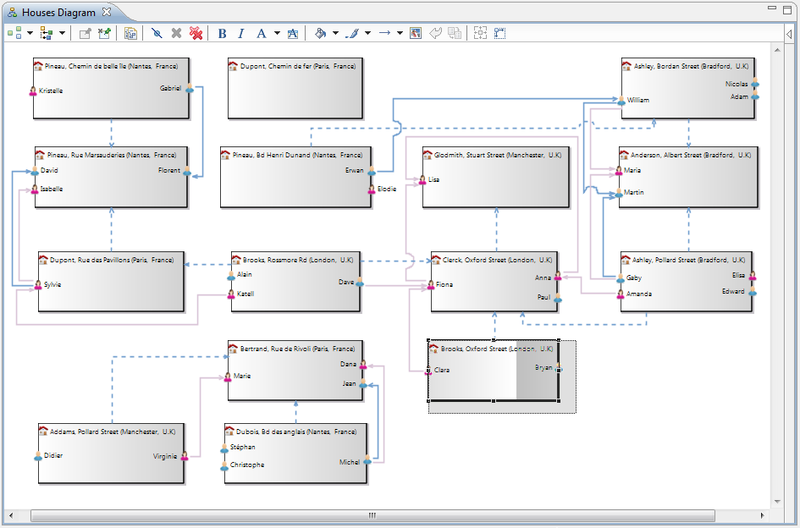 Automatic initialization When creating a new diagram, it is automatically populated with available model elements. 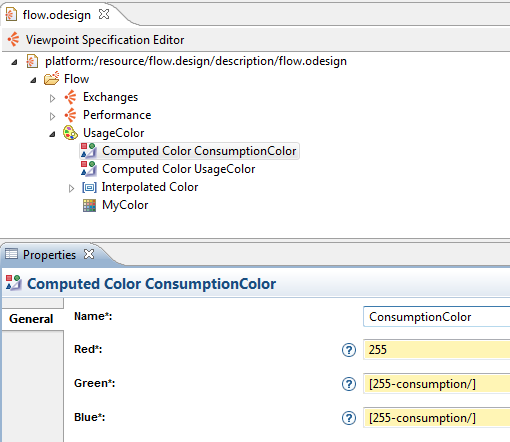 The query executed to retrieve model elements is defined by the creator of the Graphical Designer.
. 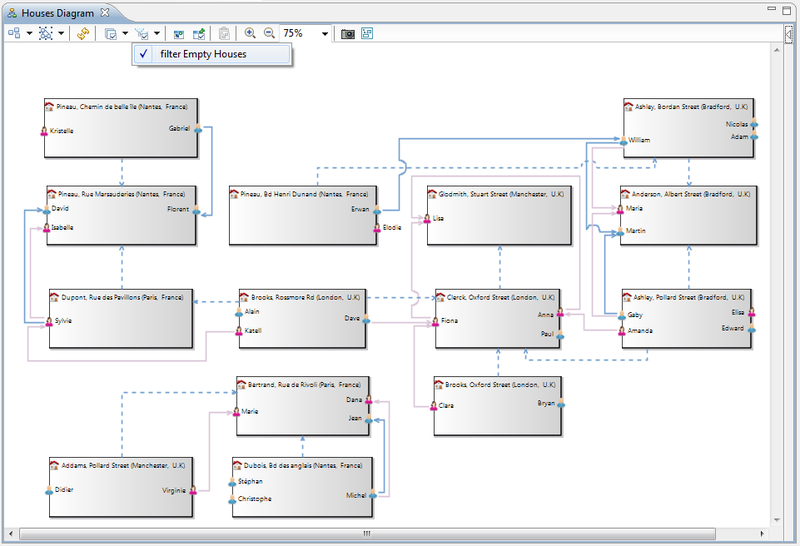 It avoids mistakenly changing properties or links related to model elements present on the diagram. 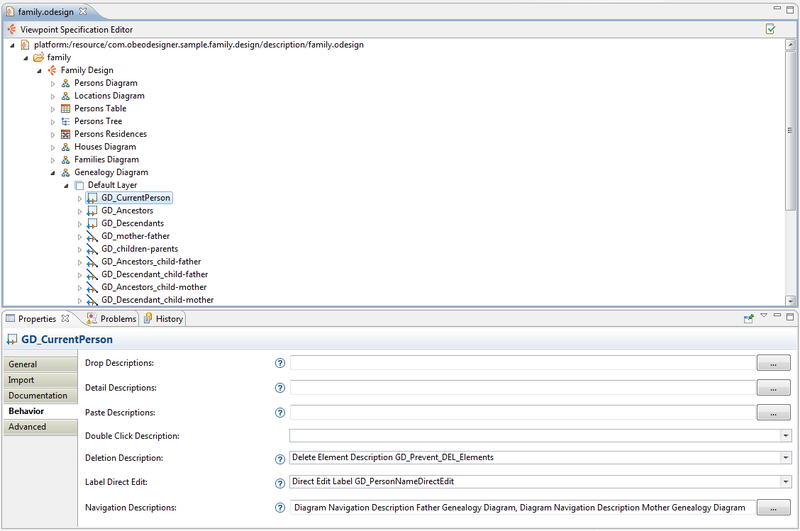 Synchronization mode With "Synchronized" mode, the diagram is automatically populated with all the candidate elements (for example all the classes of a package). However, with "Unsynchronized" mode, you choose the elements which are represented on the diagram.